A series of videos and photos show masses of sharks on the North Carolina shoreline. 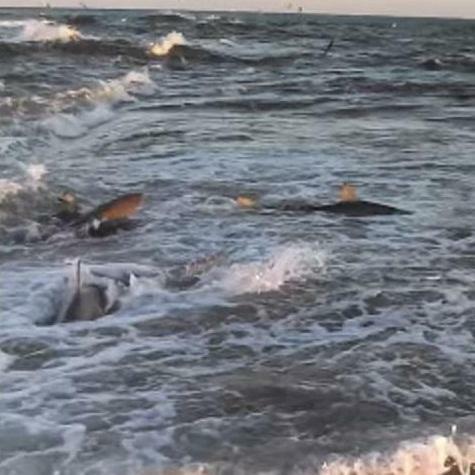 Two videos posted online this week show what appear to be blacktip and/or spinner sharks in a feeding frenzy near Cape Lookout. Blacktip sharks feed on the coast near Cape Lookout. The sharks are further ashore than usual, feeding in just a few inches of water. Nancy Fish, with the state Division of Marine Fisheries, said it's a migratory season for fish, which can lead to shark activity closer to shore. "October especially is our biggest fishing month," said Fish. "The fish are moving. They're migrating. 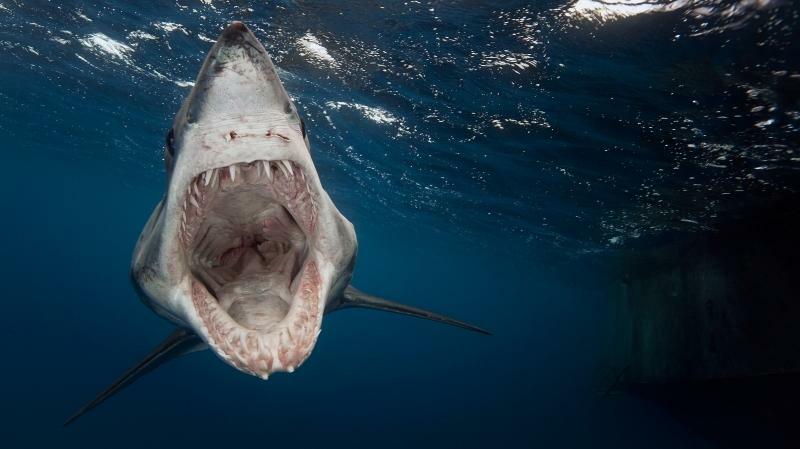 There's lots of bait out in the water for prey species like the sharks." Fish added that it's not uncommon to have a increased activity by the species at this time of year. Experts believe the sharks to be either Common Blacktip Sharks and/or Spinner Sharks. A Common Blacktip Shark, Carcharhinus limbatus. The shark is identified by the black smudges on most of its fins. "Blacktip sharks are a temperate water species," said Mike Remige, Director of Janette's Pier. "Although they come up our coast in the summer time, they're returning back to the warmer waters further south. And this is the time when other big schools of fish are moving back through the area. So, it really is prime fishing season and therefore prime feeding season for species like this." 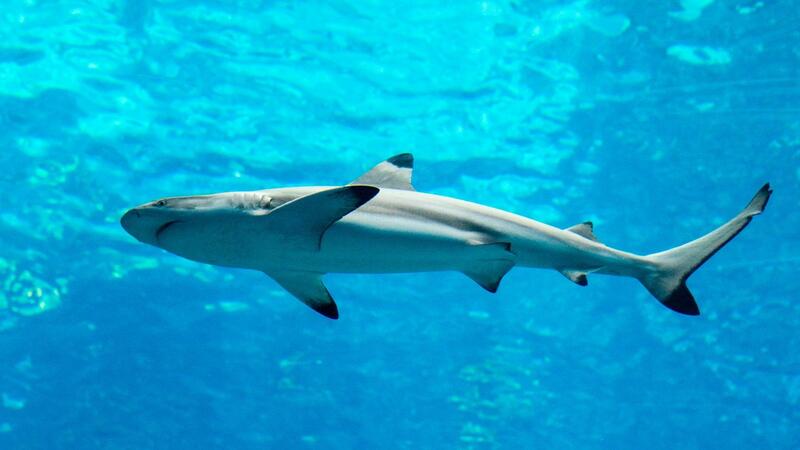 The Spinner Shark looks very similar to the Blacktip Shark. The key difference is the number of fins that have a black tip. A separate event last month saw dozens of dead sharks wash ashore near Oak Island. State officials believe that could have been the result of by-catch, or poor fishing practices. Experts say there's no increased risk to beach goers -- though shark activity is usually highest near dusk and dawn when the animals are feeding. Over the past 30 years, the size of sharks in the Gulf of Mexico has been shrinking. Drastically. Some sharks are 70 percent smaller. The findings come from the University of Alabama and the University of North Carolina's Institute of Marine Sciences. Researchers came up with a novel way of gathering the historical data. While there wasn't any academic database that collected such information, local newspapers in the Gulf region have been publishing the results of fishing competitions for years. Sharks have looked more or less the same for hundreds of millions of years. But a newly discovered fossil suggests that under the hood, a modern shark is very different from its ancient ancestors. 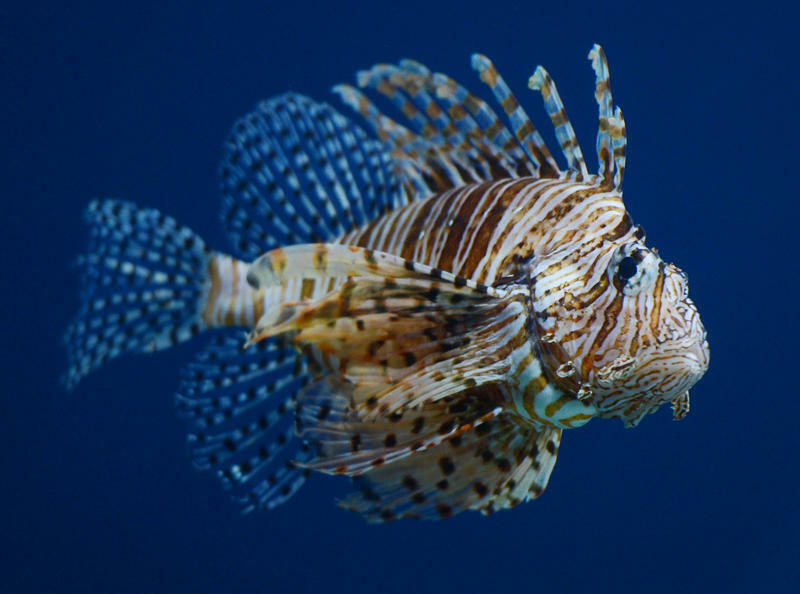 When 12-year-old Lauren Arrington heard about her sixth-grade science project, she knew she wanted to study lionfish. Growing up in Jupiter, Fla., she saw them in the ocean while snorkeling and fishing with her dad.